HSK stands for hanyu shuiping kaoshi. This literally means Chinese language water level examination. More accurately translated to Chinese language level exam, or, examination of your Chinese language level. The examination is run and accredited by Hanban, a department ran by the Chinese ministry of education. The test has been built as a standardised method to classify foreigner’s ability level of Chinese. Thereby providing a reliable and consistent qualification to show Chinese ability level. The HSK exam consists of 3 sections; listening, reading and writing. The marks are divided equally between the 3 sections. To suit all language ability levels, there are 6 levels of HSK exam. The levels range from level 1; very basic Chinese , all the way to level 6; speaking the language as well as a native. There is also a seperate exam and qualification to test spoken Chinese. This is termed the HSKK. This is a separate qualification and has only 3 levels; beginner, intermediate and advanced. Our little infographic shows the different grades and the estimated amount of time it takes to get there. Keep in mind you need to study consistently to reach these. Curb the Youtube and Netflix! How much study does it take? Realistically, teachers taking a 12 month placement should study for the HSK level 4. Like this, upon your return home, you should be capable of taking the exam and getting the 60% grade required to pass. HSK 4 is a particularly important level in the HSK journey as it is the grade required to qualify to work in China in a job that uses Chinese as your working language. Want to be a digital marketing intern? Then study HSK 4. Working in film, fashion, food or technology? Then you need HSK 4. All job types that you would be speaking mandarin require HSK 4 or above to show that you know enough Chinese to use mandarin at work. This is yet another great reason to stop for at least a year in China. So how much time should you be studying throughout the 12 months to pass HSK 4? Realistically, I would suggest a couple of hours each day. But remember much of this will be practical experience during your daily life in China such as ordering food and vocabulary picked up at work. There are currently some great scholarships for those considering studying a Masters degree in China. Obviously, in order to understand lectures and write those incredible Chinese essays, your Chinese will need to be good. Its for that reason that universities require HSK 5 or 6. This is to show that your Chinese is up to the task of comprehending class material. Many people say that HSK 6 is still nowhere near advanced enough to fully understand lecture material, therefor, I would highly advise passing the level 6 before applying to study in China. This may seem daunting, but with consistent study and focus it should be achievable in one to two years following passing the HSK level 4. 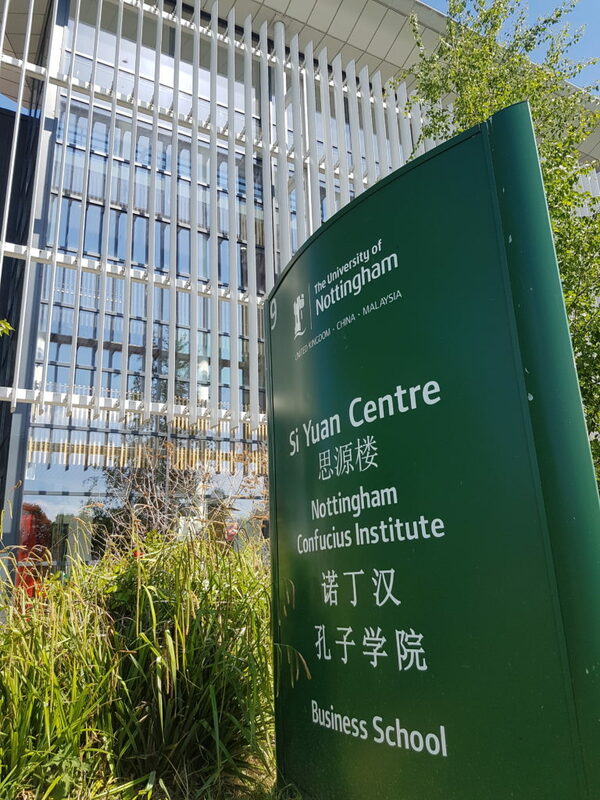 The confucius institute at the University of Nottingham next door to our office at Noon Elite Recruitment. Many test centres are based on university campuses and they are prestigious buildings. The HSK is a truly globally accessible exam with test centres all around the world. These test centres are based at confucius institutes which are often found within universities. 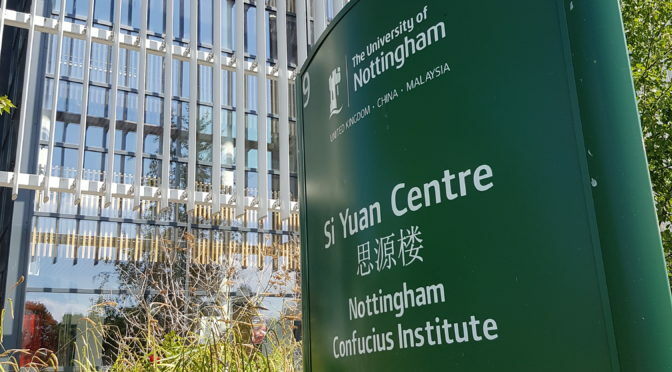 Taking the UK as an example, the confucius institute in Nottingham is at the University of Nottingham (next door to our office at Noon Elite Recruitment). The confucius institute in Sheffield is within the University of Sheffield. For a full list of HSK exam centres you can check the official link http://www.chinesetest.cn/goKdInfoOrPlan.do . This site is the official Chinese ran site however it can be rather buggy and unresponsive when accessing from outside of China. Therefor, for your convenience, below is a list of all the test centres in the UK. 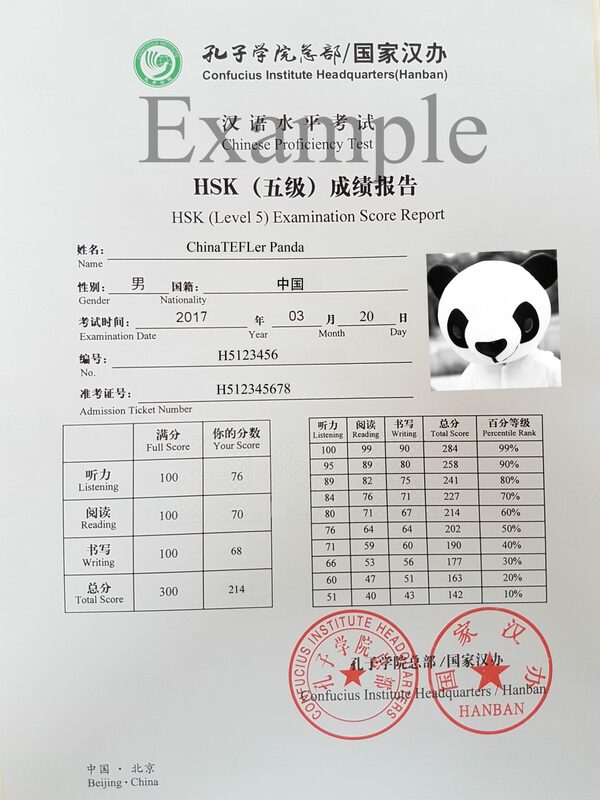 Below is an image of a typical HSK certificate featuring the gorgeus Mr Panda. Example HSK certificate. Here the genius Mr Panda is pictured on a HSK level 5 mock certificate. Passing the HSK gives you a formal, internationally recognised qualification which quantifies your Chinese language skills. Additionally, if you are interested in further study in China, then you require HSK 5 or 6 as part of their qualifying criteria for studying on a Chinese Masters degree programme instructed in Chinese. Gaining a HSK qualification and adding this on your CV is a smart move. In today’s world more and more companies work with China and Mandarin is becoming an increasingly important language. Getting a HSK certificate is a great asset to anyone studying Chinese. Have any questions or anything else to add? Comment below and we’ll get back to you.